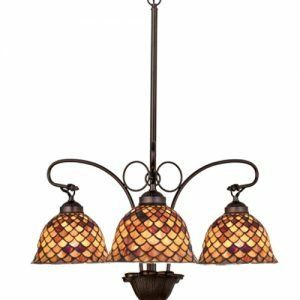 The Sophisticated Look Of Onyx-Colored Panels On Honey Glass With Melon Green Accented Shades Are A Pleasing Contrast To The Hand Rubbed Copper Nouveau Inspired 2 Arm Island Pendant. 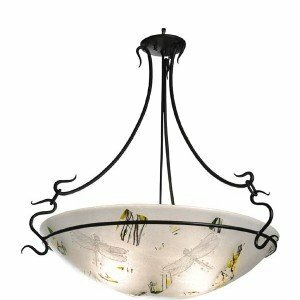 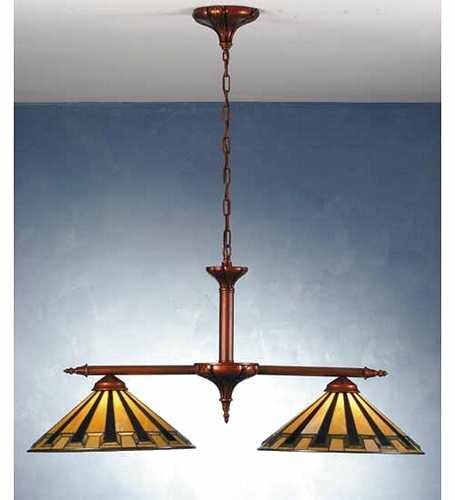 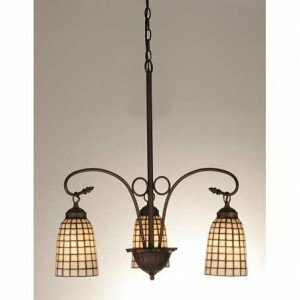 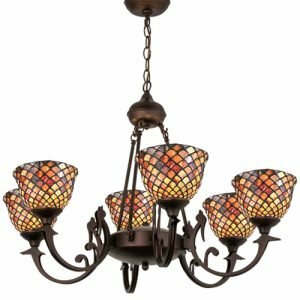 The Hand Applied Finish And Intricate Detail Make This A Stunning Arts And Crafts Style Fixture. 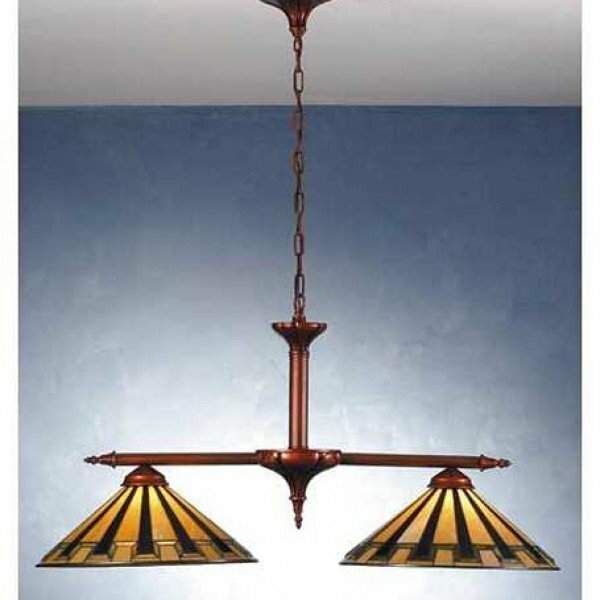 This Island LightÂ is handcrafted using LC Tiffany’s time-honored copperfoil construction technique.